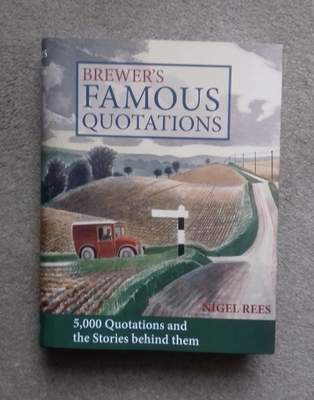 For those of us who enjoy browsing through the famous quips, remarks, poems and statements – serious or otherwise – that have become an inherent part of our cultural history but whose sources often remain surprisingly elusive, this edition of Brewer’s famous quotations has the added bonus of telling us the context in which they were first uttered. SKU: SHB 95. Category: Literature & Art.